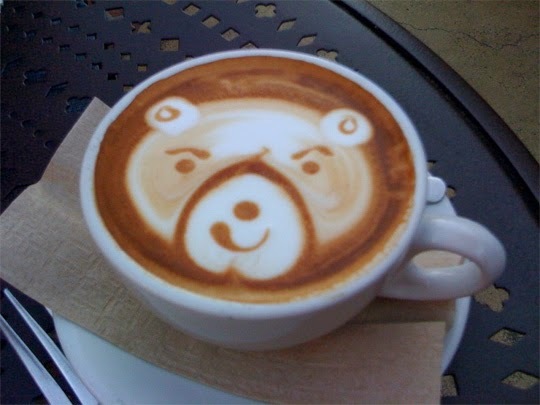 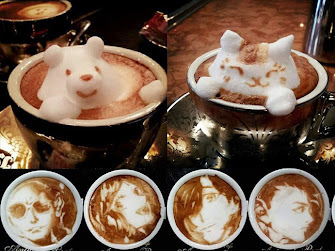 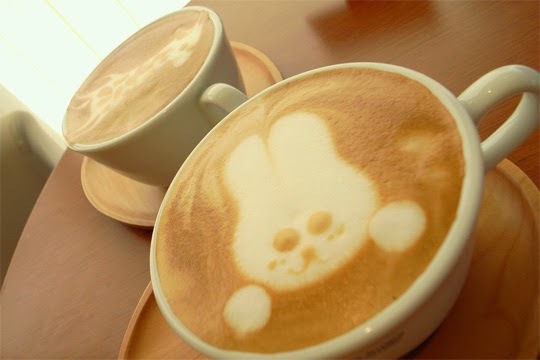 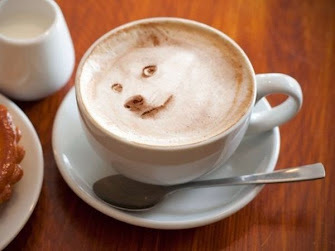 Latte art is a method of preparing coffee created by pouring steamed milk into a shot of espresso and resulting in a pattern or design on the surface of the resultinglatte. 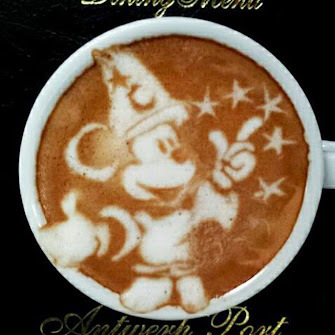 It can also be created or embellished by simply "drawing" in the top layer of foam. 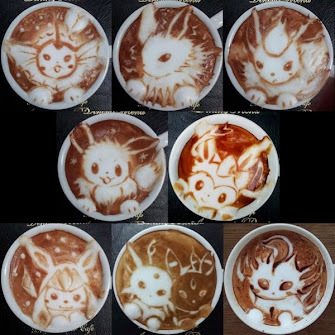 Latte art developed independently in different countries, following the introduction of espresso and the development of microfoam, the combination of crema and microfoam allowing the pattern; it presumably was initially developed in Italy. 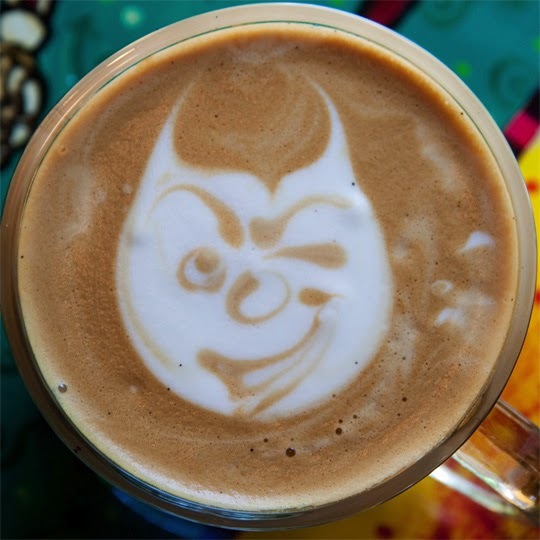 In the United States, latte art was developed in Seattle in the 1980s and 1990s, and particularly popularized by David Schomer.Schomer credits the development of microfoam ("velvet foam" or "milk texturing") to Jack Kelly of Uptown espresso in 1986, and by 1989 the heart pattern was established and a signature at Schomer's Espresso Vivace. 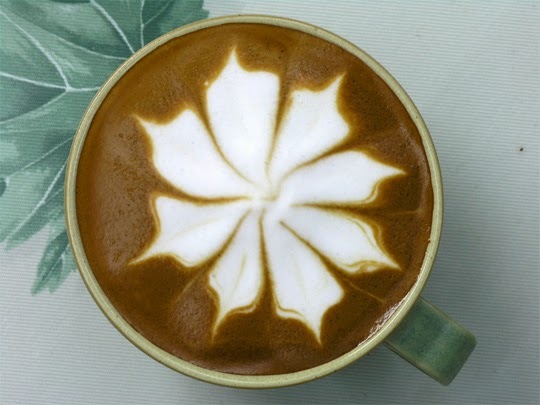 The rosette pattern was then developed by Schomer in 1992, recreating the technique based on a photograph he saw from Cafe Mateki in Italy. 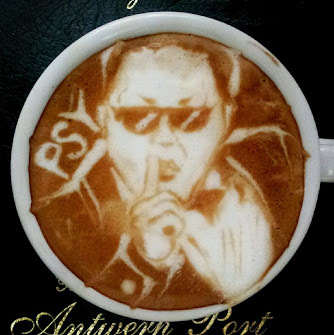 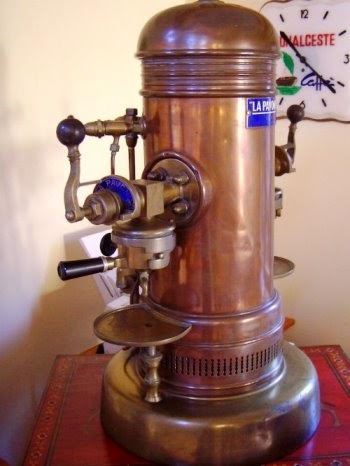 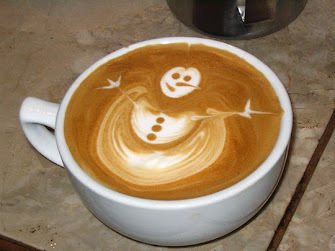 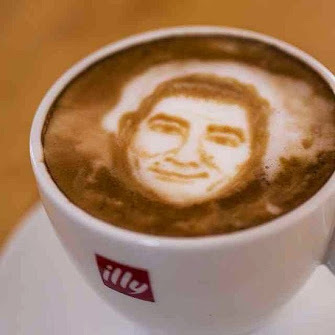 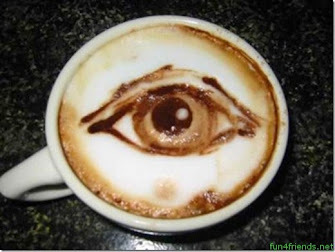 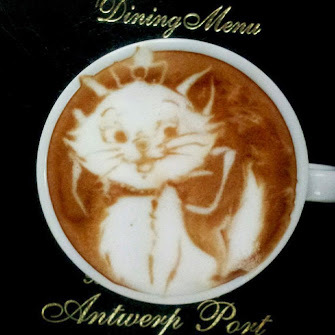 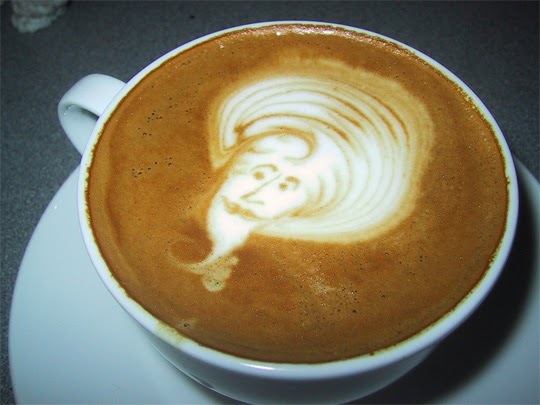 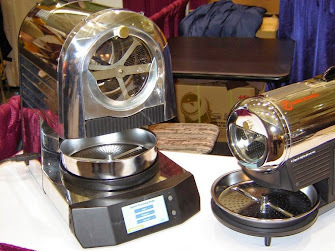 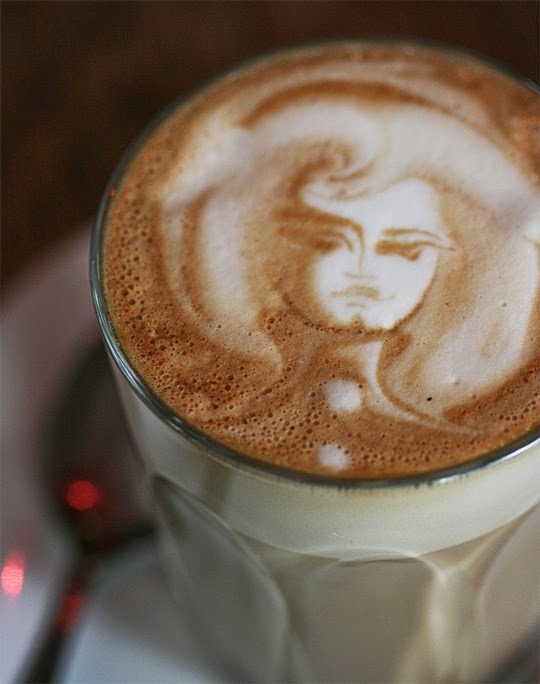 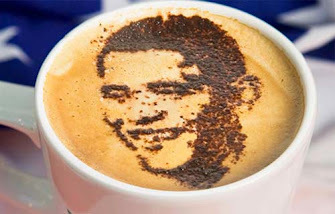 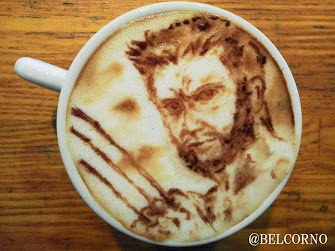 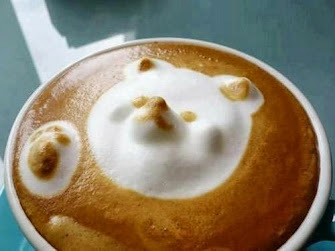 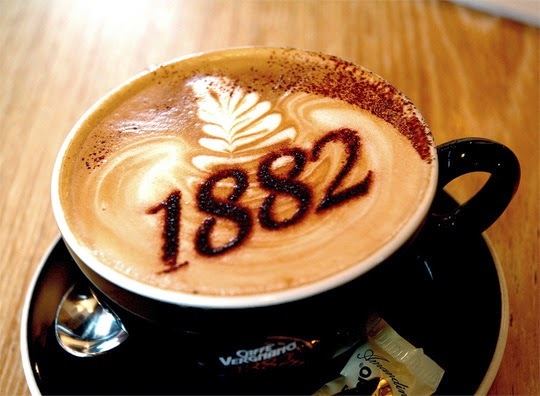 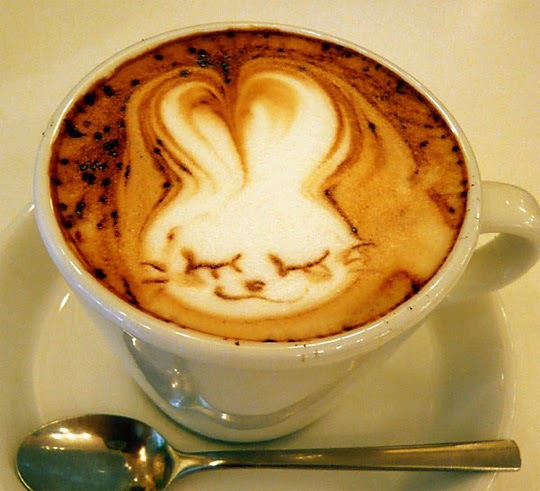 Schomer subsequently popularized latte art in his course "Caffe Latte Art". 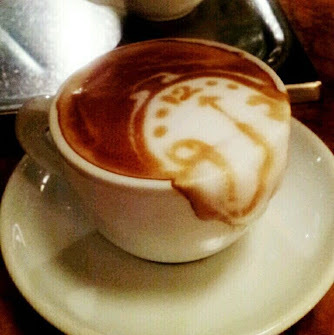 At the same time Luigi Lupi from Italy met Schomer on the internet and they exchanged videos they made on Latteart and Cappuccini Decorati. 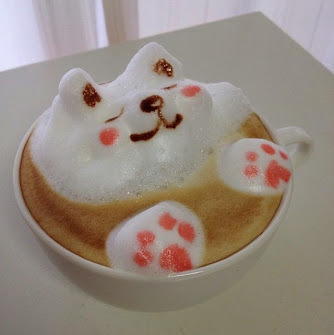 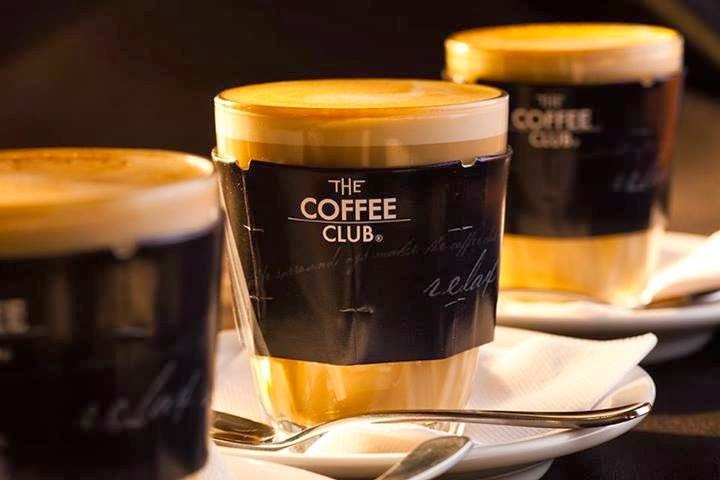 Latte art is a mixture of two colloids: the crema, which is an emulsion of coffee oil and brewed coffee; and the microfoam, which is a foam of air in milk. 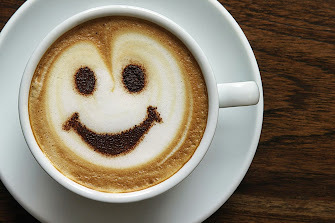 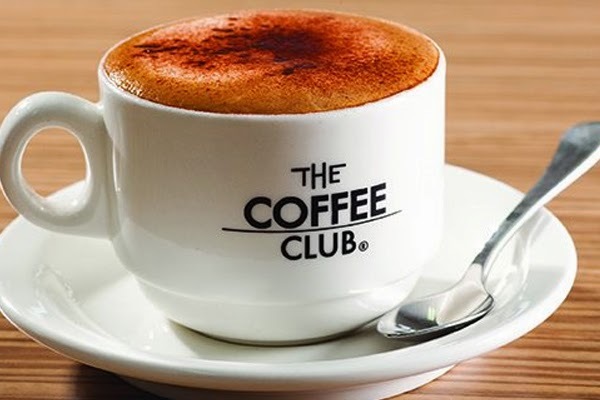 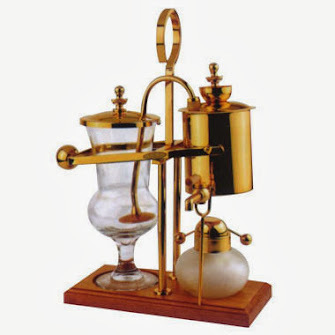 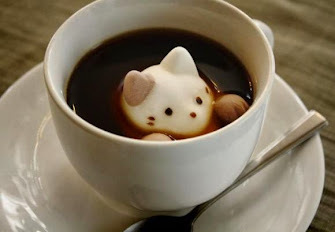 Milk itself is an emulsion of butterfat in water, while coffee is a mixture of coffee solids in water. 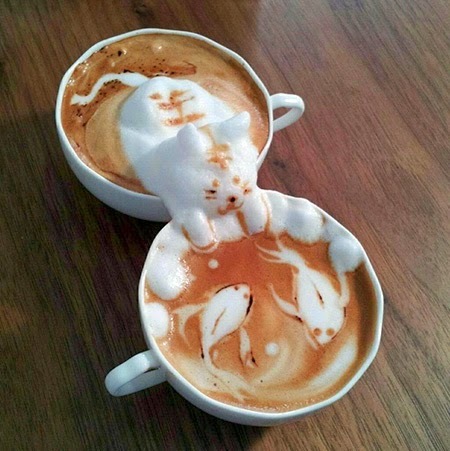 Neither of these colloids are stable – crema dissipates from espresso, while microfoam separates into drier foam and liquid milk – both degrading significantly in a matter of minutes, and thus latte art lasts only briefly. 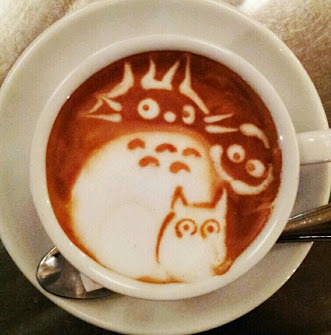 Latte art requires first producing espresso with crema and microfoam, and then combining these to make latte art. 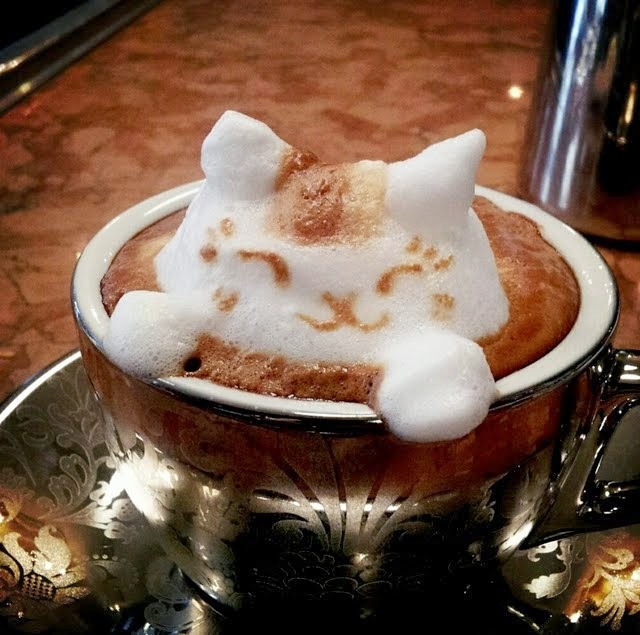 See microfoam: procedure for how microfoam is made; this article concentrates on the latte art once the foam is made. 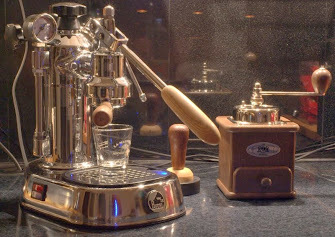 Before the milk is added, the espresso shot must have a creamy brown surface, an emulsion known as crema. 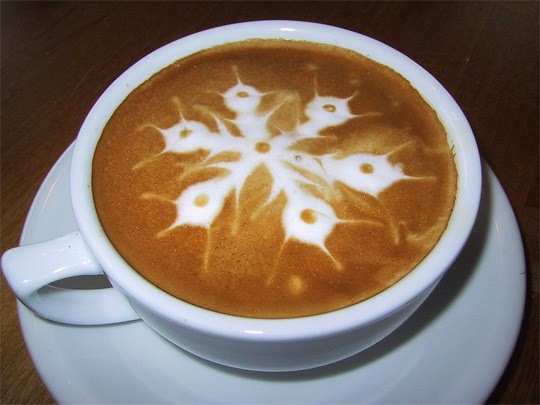 As the white foam from the milk rises to meet the red/brown surface of the shot, a contrast is created and the design emerges. 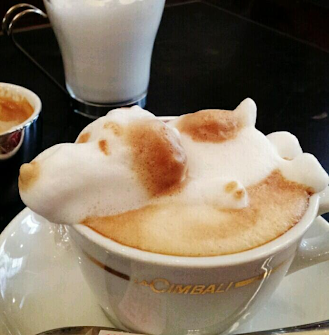 As the milk is poured, the foam separates from the liquid and rises to the top. 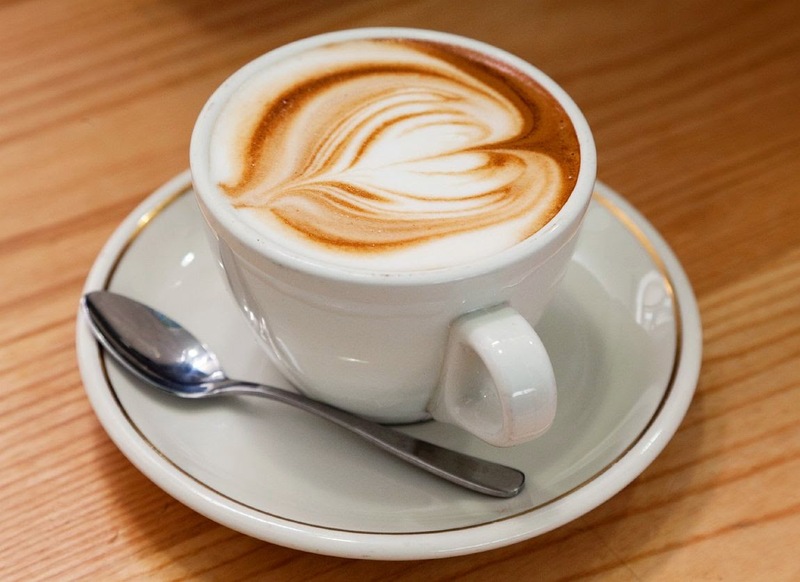 If the milk and espresso shot are "just right," and the pitcher is moved during the pour, the foam will rise to create a pattern on the surface. 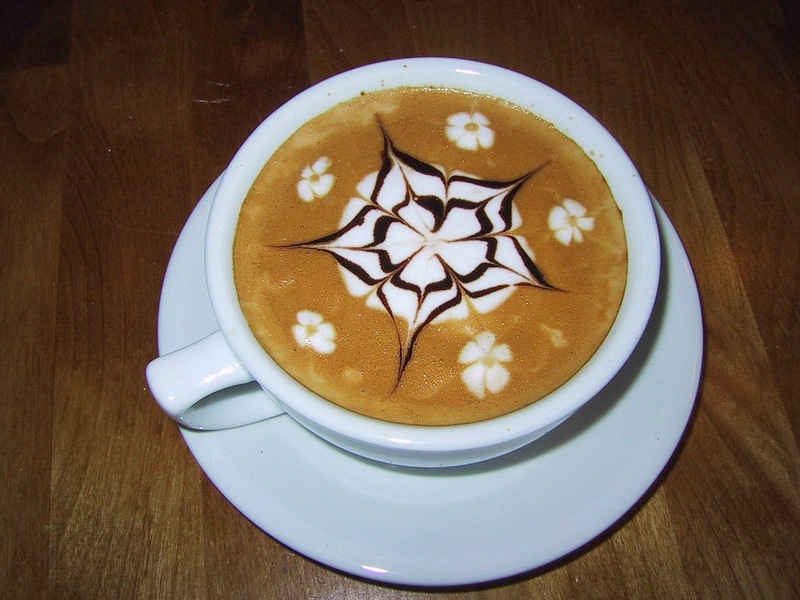 Alternatively, a pattern may be etched with a stick after the milk has been poured, rather than during the pour. 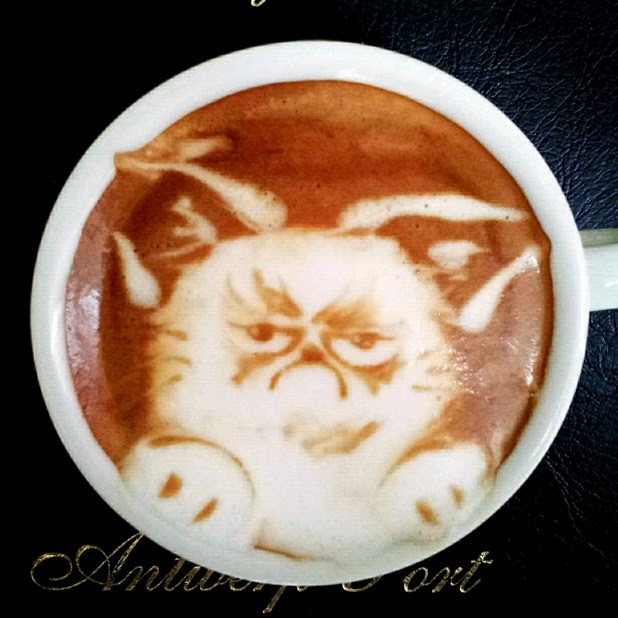 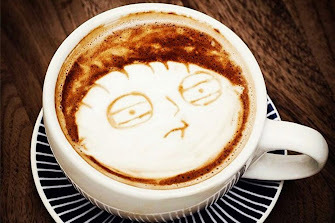 Some controversy exists within the coffee community as to whether or not there is excessive focus on latte art amongst baristas. 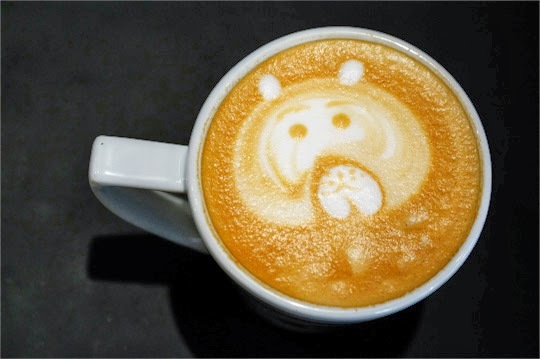 The argument is that too much focus on thesuperficial appearance of a drink leads some to ignore more important issues, such as taste.This is especially relevant with new baristas. 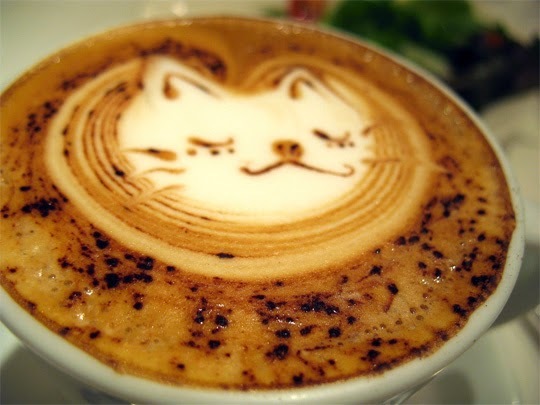 There are two main types of latte art: free pouring (pattern created during the pour) and etching (using a tool to create a pattern after the pour). 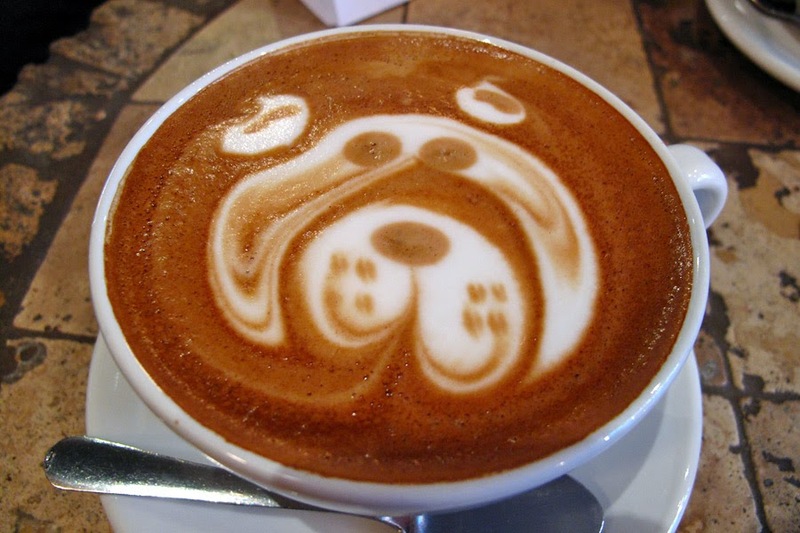 Free pouring is far more common in American cafes, and requires little additional time in preparing a drink. 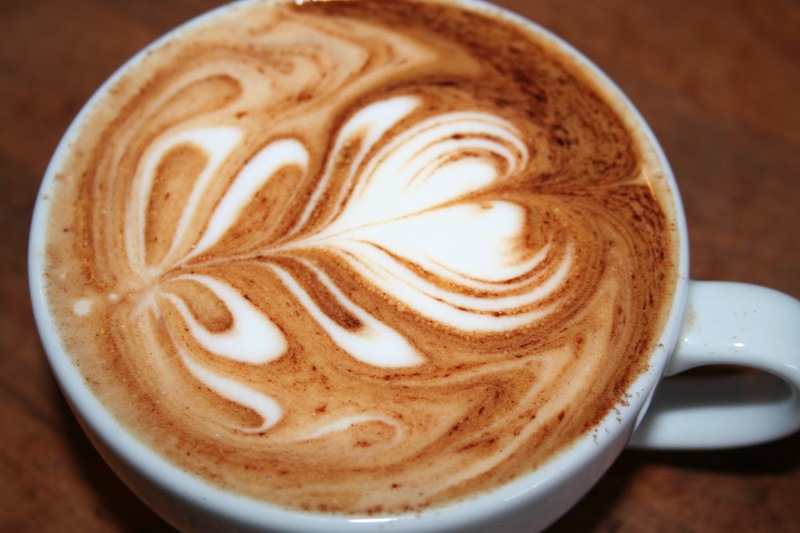 The two most common forms of poured latte art are a heart shape and the "rosetta" or "rosette", also known as "fern" which resembles a type of flower or fern. 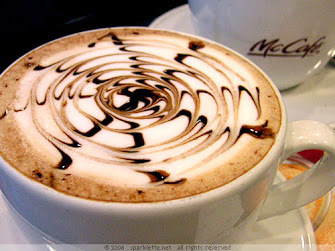 Of these, hearts are simpler and more common in macchiatos, while rosettes are more complex and more common in lattes. 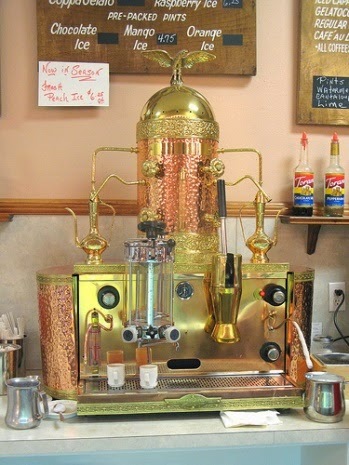 For free pouring, the cup is either kept level or tilted in one direction. 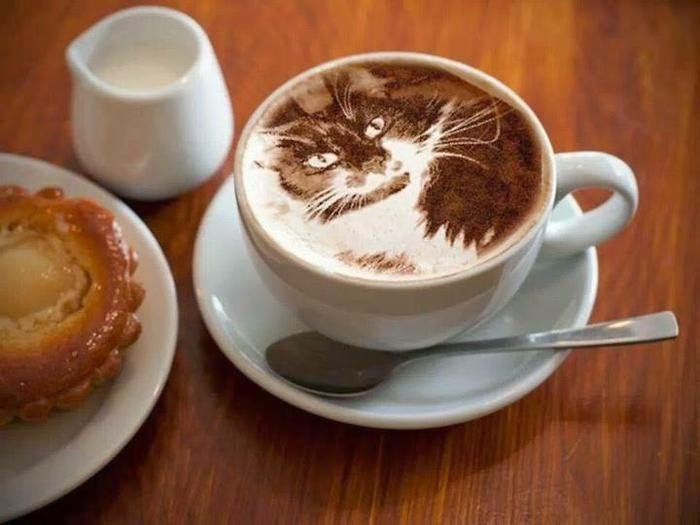 As the milk is poured straight into the cup, the foam begins to surface on one side (due to the tilt). 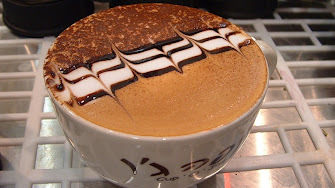 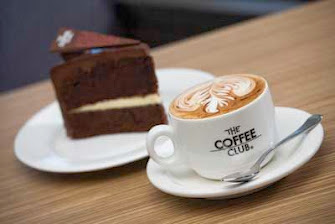 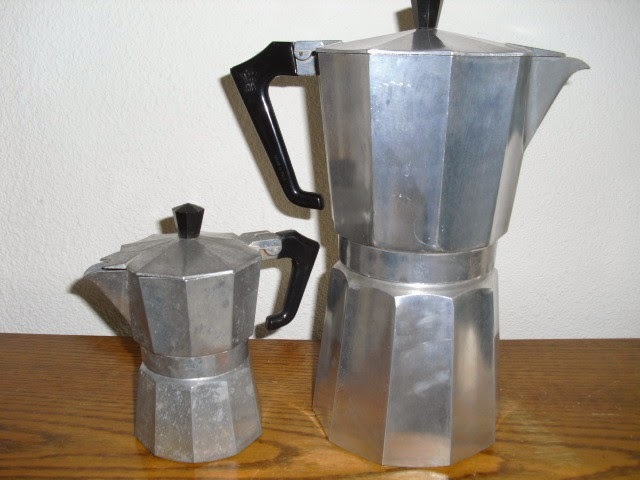 The barista then moves the pitcher from side to side as they level the cup, or simply wiggle the spout back and forth, and finishes by making a quick strike through the previously poured pattern. 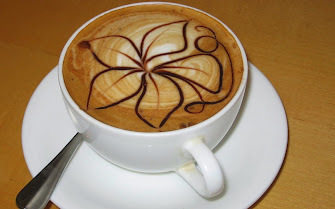 This "strike" creates the stem portion of the flower design, and bends the poured zig-zag into a flower shape. 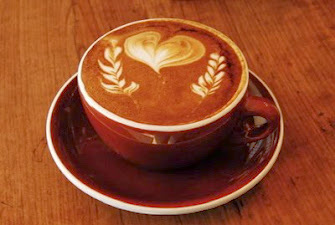 A more direct pour and less wiggling yields a heart shape, and minor variation (reduced lobes, larger stem) yields an apple shape. 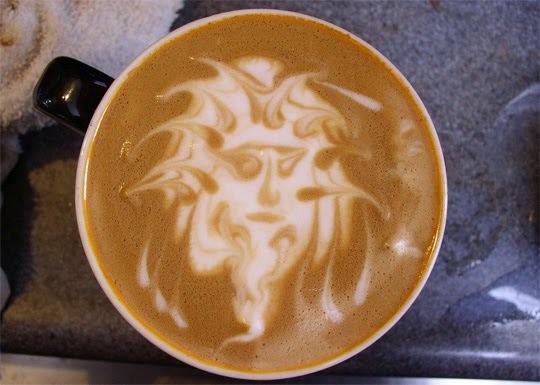 More complex patterns are possible, some requiring multiple pours. 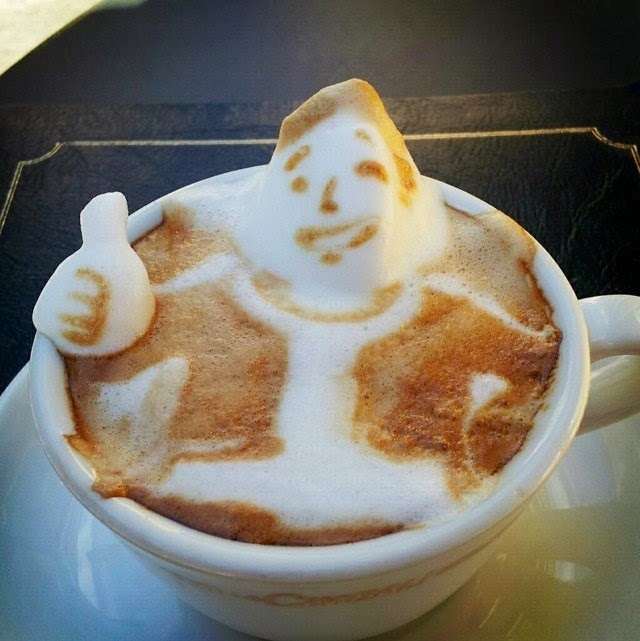 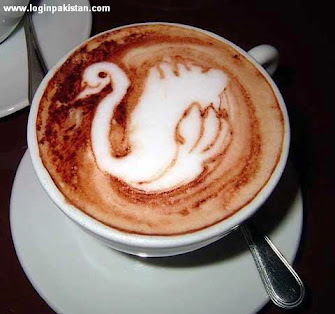 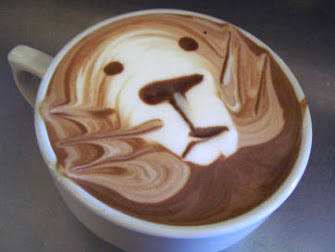 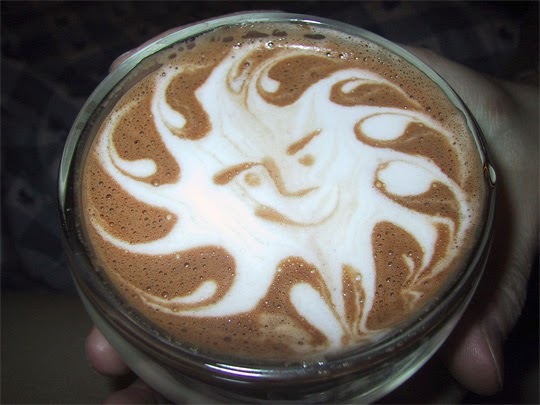 Some examples of advanced latte art techniques are that of the tulip, wave heart, swan, or even a scorpion. 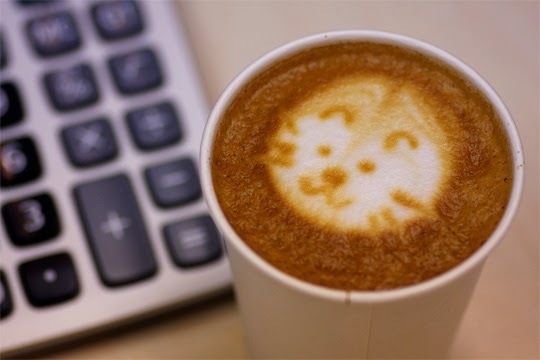 Etched patterns range from simple geometric shapes to complicated drawings, such as crosshatched patterns, animals, and flowers, and are generally performed with a coffee stirrer of some sort. 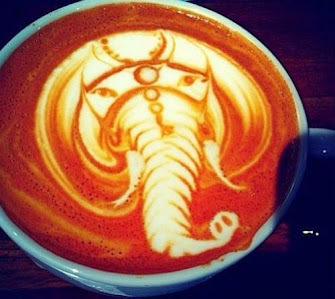 Etched latte art typically has a shorter lifespan than free poured latte art as the foam dissolves into the latte more quickly. 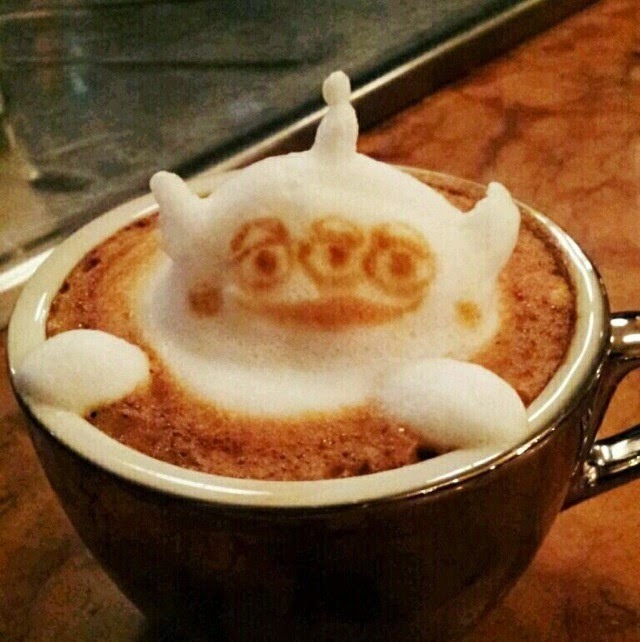 Latte art is made by adding microfoam to espresso. 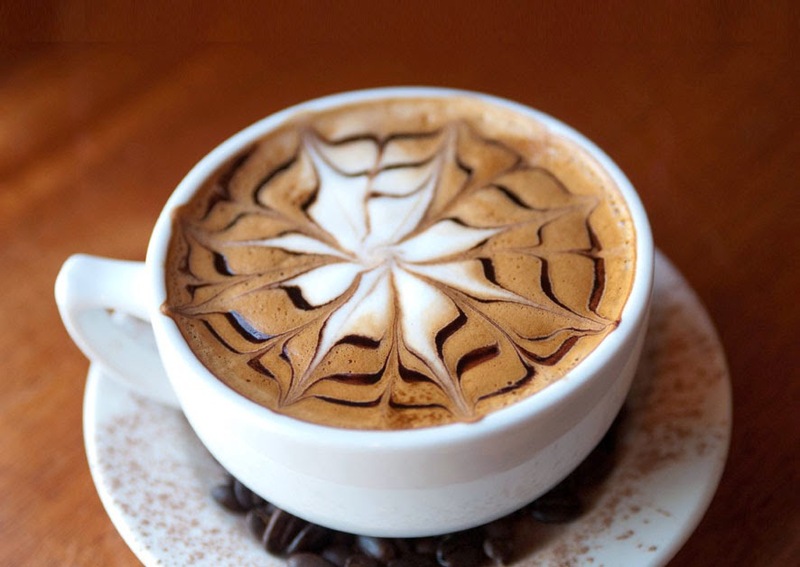 Similar patterns, though much fainter, can be achieved by adding microfoam to brewed coffee, as in a café au lait or tea. 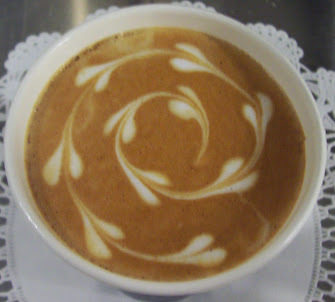 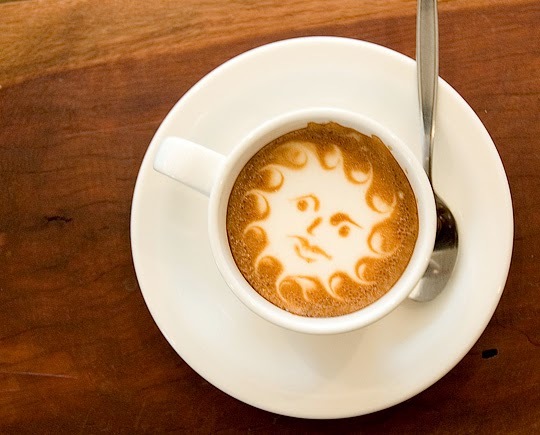 Alternatively, patterns can be etched in the crema of an espresso, without adding any milk, in order to yield espresso art.